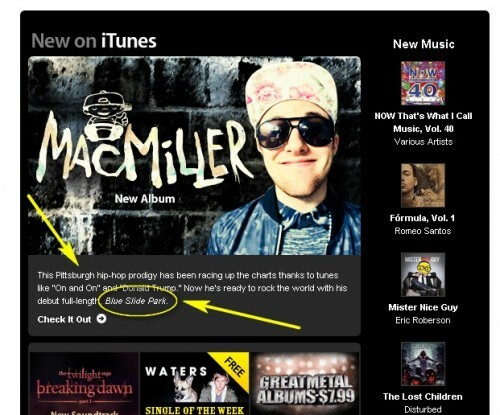 You may have noticed some buzz on the internet about Mac Miller and his new song and album Blue Slide Park. Mac Miller is a hip hop artist who is from Pittsburgh and has recorded a few songs about the area. 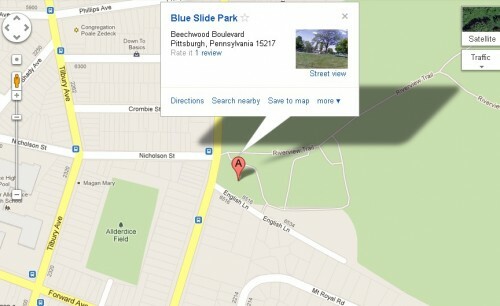 Thanks to Mac Miller for putting Pittsburgh and this park on the map. While we were excited to see Blue Slide Park gain such national attention – a quick search of google revealed that there isn’t much online about the actual Blue Slide Park. For those of you who are new to the area or haven’t heard of the place – Blue Slide Park is a real park and any kid that grew up in the Sq. Hill area will tell you this is THE BEST playground around. 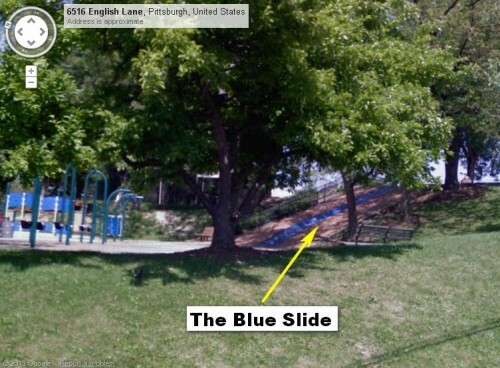 While Pittsburgh has lots of great parks and playgrounds – I think most people who have been there will agree that Blue Slide Park is the best. Yes, there is a giant, blue concrete slide that is built into the hillside. Ok, to an adult, giant might be an exaggeration but it looks giant to kids and yes the slide is blue. Please share your stories (and photos) of Blue Slide Park in the comments below. You can listen to Mac Miller’s song Blue Slide Park on YouTube here – so far no music video for this track yet. Like Blue Slide Park, the Frick Park Market is an actual place – check out the reviews on Yelp here. If you are looking for a sandwich or to pick up some milk – you should definitely stop by the Frick Park Market on Reynolds in Point Breeze.